The Shoshone County Airport (S83) lies three miles to the west of Kellogg, Idaho, providing a scenic destination spot with countless year round recreational activities or a resting point for all flyers. Courtesy car available for rent. Pilot’s lounge with refreshments & internet service. Shoshone County Airport announces Annual DBE Goal for FFY 2018-2020 as 3.64%. Airport Use: Open to the public. Dimensions: 5302 ft. x 75 ft. There are no instrument procedures at Shoshone County Airport. Shoshone County is inviting the public to participate in an open house at the Shoshone County Airport. 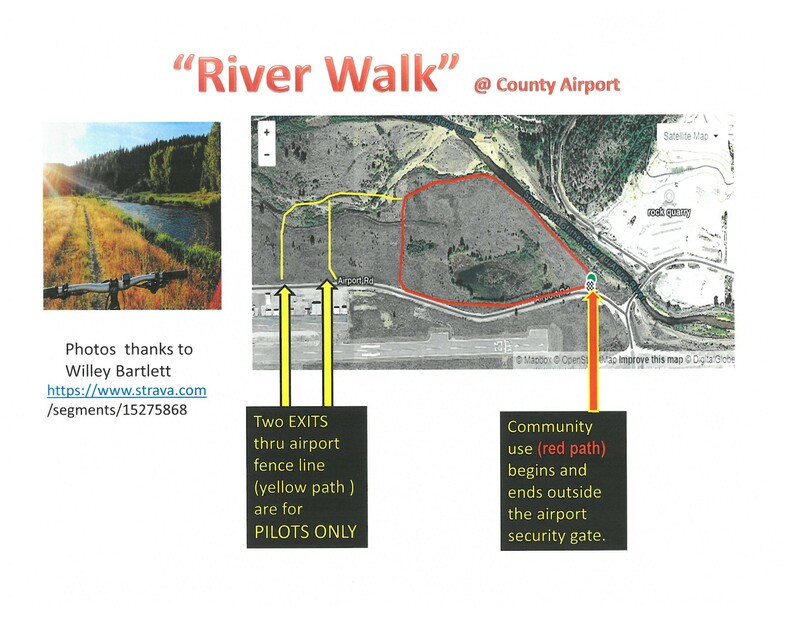 Shoshone County is conducting an Environmental Assessment at the Shoshone County Airport to review proposed developments to acquire land for airport development; acquire land for runway protection zones; and construct aprons, taxiway, roads and hangars as part of the west side development. Preliminary planning has been completed for the Environmental Assessment and Shoshone County is seeking community feedback regarding the proposed improvements. The event will be an open format; no presentation will be given. Preferred alternative displays will be available for viewing and public comments are encouraged. Airport Staff and Consultants will be available to answer any questions. The public is encouraged to attend this event and offer feedback. Please join us on Tuesday, March 6th at the Shoshone County Airport Office, 926 Airport Road, Smelterville, Idaho 83868 from 5:00 pm to 7:00 pm.